In following current events, there is a hardly any place on earth where the world as a whole has shown more indifference than Syria. The tragedy of the civil war there is beyond measure. The brutality of Syria’s dictator Bashar al-Assad knows no bounds. According to estimates he has slaughtered over 100,000 of his own people over the last two years in his desperate effort to cling to power. The only tragedy greater than the loss of life in this conflict is the world’s indifference to it. I say this with great sensitivity to the fragile situation. It’s easy to blame our government and others for not intervening more than it has on behalf of the uprising, though I understand the caution on their part. The United States fought two wars in Iraq and Afghanistan that were costly in both blood and treasure, and our nation is understandably war-weary. Our economy is weak, and we have a lot of nation-building to do at home. Furthermore, it’s hard to know exactly who the rebels are and what connections they might have to anti-Western Islamic fundamentalists. The presence of American boots on the ground in Syria could spark a direct war between the US and Assad’s chief patron, Iran, and Israel would face certain danger. What is happening in Syria, therefore, is a humanitarian and geo-political nightmare. Yes, there are all of these grave concerns. And yes, the world has still been indifferent. In the midst of this impossible situation in Syria, the New York Times published a report this week that provides a glimmer of hope. Scores of Syrians injured in the fighting have been discreetly spirited across the border into Israel for advanced medical treatment. This story is remarkable given the official state of war between Israel and Syria and the tight security around the border. According to the report, the first patients were young men in their 20’s and 30’s who were suffering from gunshot wounds. More and more, women and children are also being treated for injuries sustained in explosions. 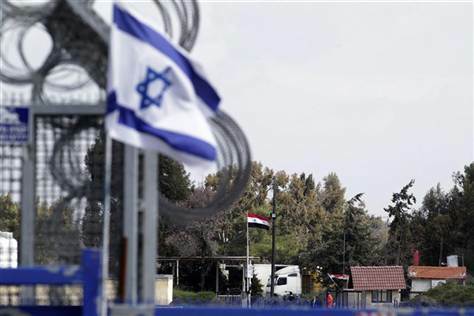 While Israel is careful not to open its borders to refugees as Turkey and Jordan have done, the Israeli government has authorized and is picking up the bill for the treatment of these wounded Syrians. They are careful to protect their identity out of fear that when they return to Syria they will face abuse for accepting treatment in Israel. Details as to how the Syrians are crossing into and out of Israel are not entirely known, except that this humanitarian operation is coordinated by the Israeli military. It would be easy for Israel to seal its border completely and not allow anyone in. Israel has an official policy of non-intervention in the Syrian conflict. And yet, with the background of the Syrian cauldron of hatred and war, we find Israel bringing a semblance of peace, compassion and healing. When it would be politically expedient for Israel to be indifferent to Arabs in surrounding countries slaughtering each other, Israel is not indifferent. “If…someone slain is found lying in the open, the identity of the slayer not being known, your elders and magistrates shall go out and measure the distances from the corpse to the nearby towns. The elders of the town nearest the corpse shall then take a heifer which has never been worked, which has never pulled a yoke and…they shall break the heifer’s neck….Then all the elders of the town nearest to the corpse shall wash their hands over the heifer whose neck was broken….And they shall declare: ‘Our hands did not shed this blood, nor did our eyes see it done. Absolve, O Lord, Your people Israel whom You redeemed, and do not let guilt for the blood of the innocent remain among your people Israel’” (Deut. 21: 1-9). In the context in which this text was written, the spilling of innocent blood pollutes the Land of Israel and causes the Divine Presence to leave the community’s midst. In the absence of prosecuting the murderer, the ritual of the eglah arufah (broken-necked heifer) fills the void created by the murder in the community’s pursuit of justice. In modern terminology, the ritual is intended to provide a sense of closure following a senseless act. It also forces the community to bear the burden of responsibility for the breach of justice among their neighbors. The town elders ask for forgiveness that they may have caused in some way the death of a single human being. “If a murdered person is found, the elders of the city have to make confession, as stated in this verse. They are to an extent to blame, for if they had led the people better such a tragedy would not have occurred. While the word in Hebrew for “have shed” is read as shaf’khu, in the plural, it is written in the traditional Hebrew text as shaf’kha, in the singular. This is because the elders are never able to say that “we did everything possible with our two hands to prevent such an event.” Whatever we did was with only one hand, and we will always be to blame for not having done enough” (A. Greenberg, Ed., Torah Gems, Vol. 3, p. 268). As the world looks upon the Syrian blood bath with indifference, the Israeli medical response is an inspiration that the world does not have to accept the status quo. It’s my sincere hope that Israel’s modest but significant action will remind the world not to be bystanders, not to be indifferent.